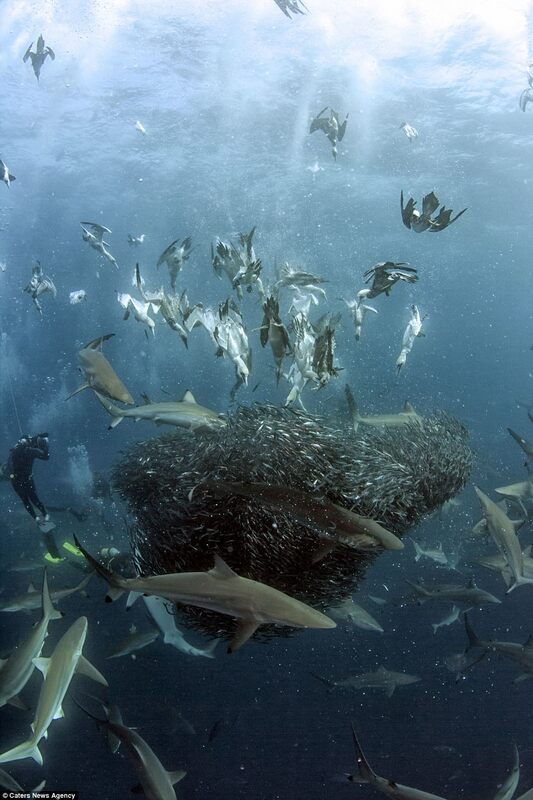 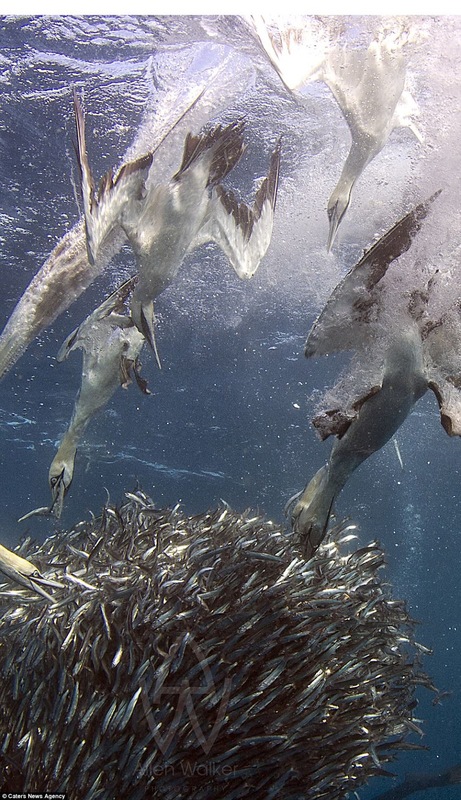 A spectacular natural spectacle was spotted off the Wild Shore of South Africa when giant sharks interrupted gannets who were preying on a shoal of sardines. 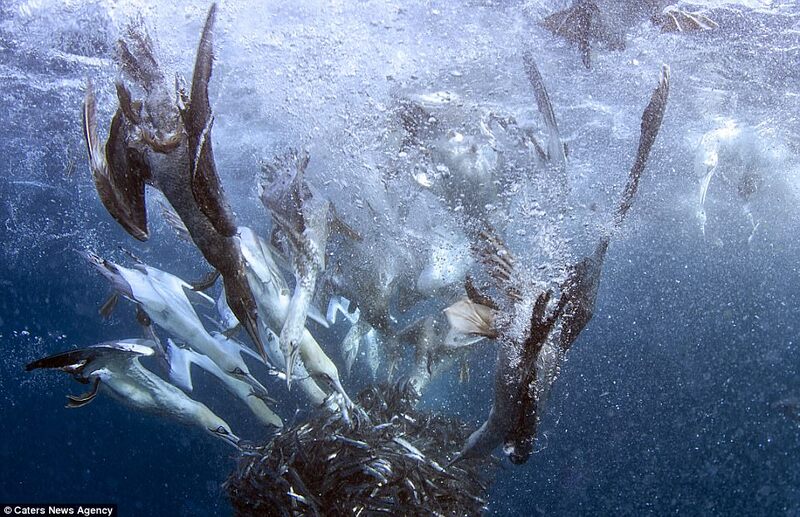 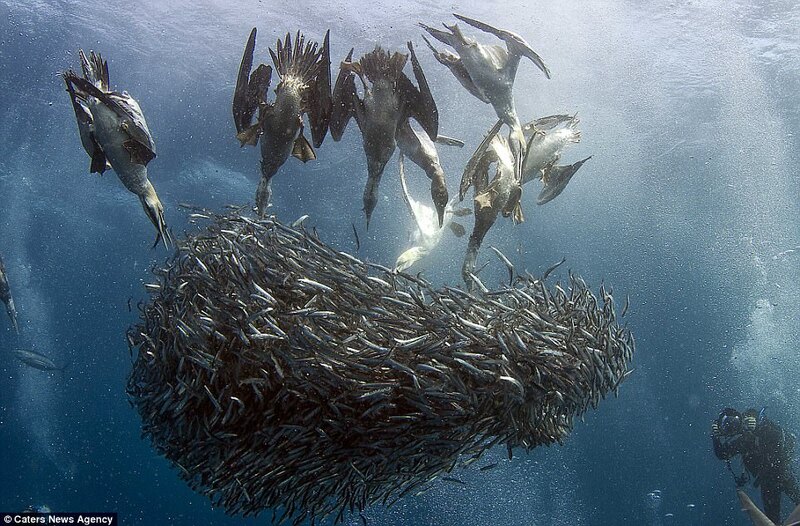 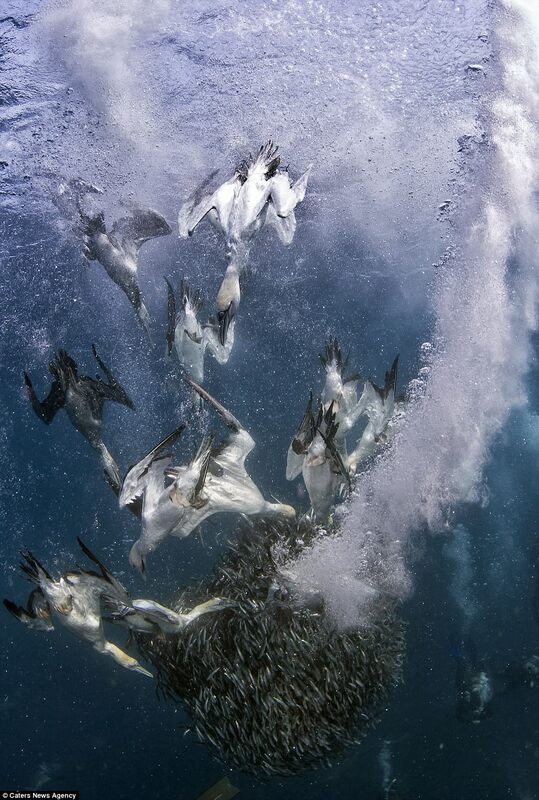 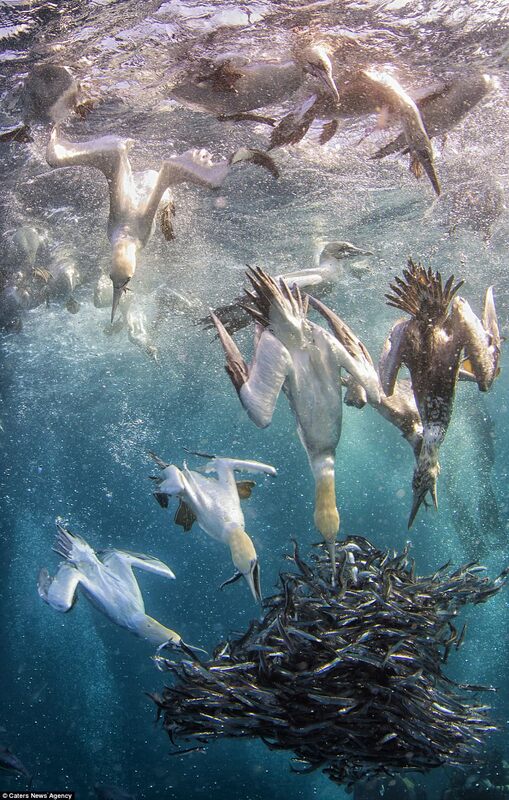 The scene was captured by South African photographer Allen Walker off the Wild Shore of South Africa during the annual sardine run that lasts from May to July. 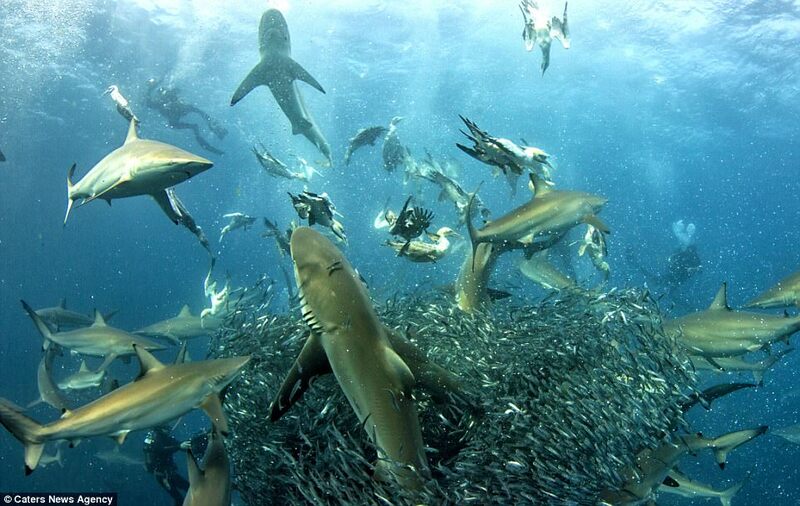 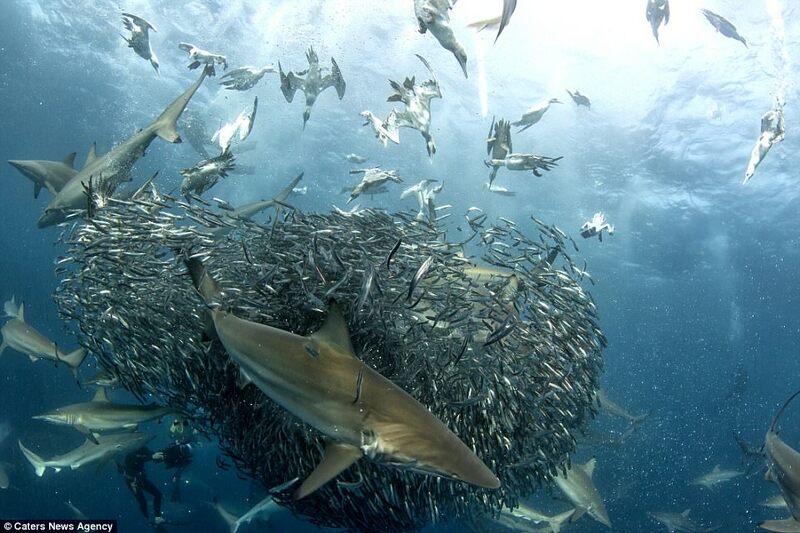 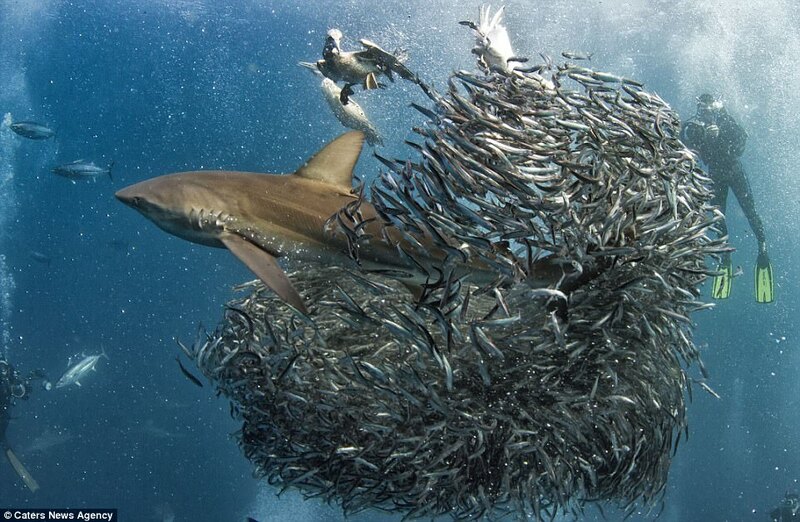 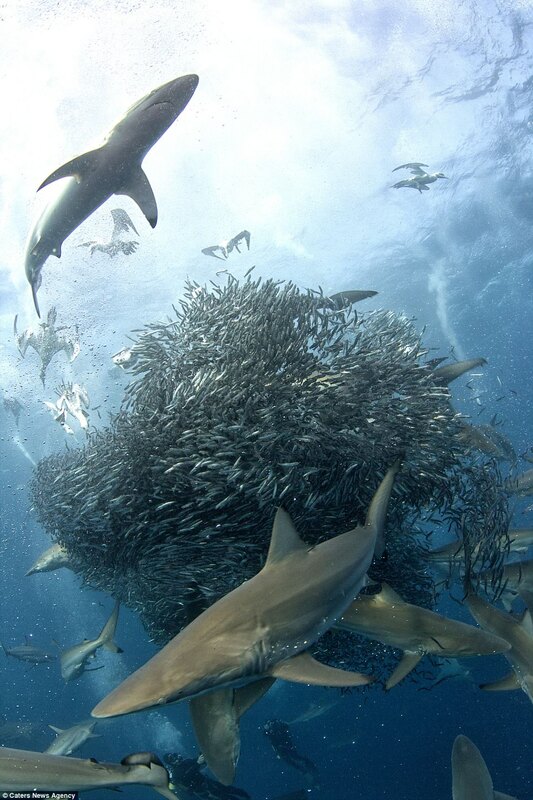 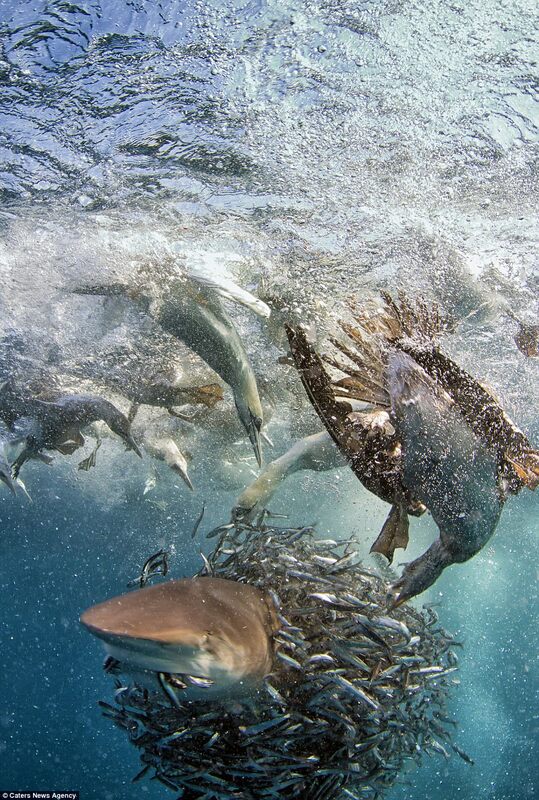 Dramatic pictures taken from under the water show the fight between the predators, both picking away at the giant schools of sardines desperate to escape.